The planet only has until 2030-2040 to minimize catastrophic climate change according to the IPCC 2018 report. It is not only a stark warning but also a wakeup call according to experts. Key in the UN’s Intergovernmental Panel on Climate Change 2018 report was the fact that there is a need for unprecedented changes to ensure the global temperatures do not go over the critical threshold of 1.5 Degrees Celsius above pre-industrial levels. According to the current trend, the planet may get above the levels by as early as 2030. As an implementation to the Paris Agreement of 2015 directive, it has been prepared over three years. It comprehensively covers the risks faced, projections and recommendations to avert catastrophic climate change. It was clearly reported that the above problems are already being experienced and they will get worse with time. This is due to the fact that the Planet is already two-thirds of the way there because the rise is at 1 above the pre-industrial levels currently. Emphasis was put on the widespread disasters due to the climatic change that is currently within control but not for long. IPCC revealed that the planet has between now and 2030-2040 to make serious changes or else risk the many problems arising from the global temperature rise. Experts have sighted several disasters that are directly related to the rising global temperatures and indicated that it will only get worse unless something is done about it. According to Panmao Zhai, the co-chair of IPCC Working Group1, extreme weather changes, rising sea levels, and the diminishing Arctic sea are already existing consequences of global warming. The 2018 report shows that greenhouse emissions are responsible for climate change. Prior to industrialization, the carbon emissions were very low and although the preindustrial global temperature level rising will persist on, it is not that significant. However, the rise has been rapid since industrialization due to the burning of fossil fuels. It was shown that with the increase in carbon dioxide levels catastrophic climate change is almost inevitable. With the current levels being 45% as of 2010 it will take concerted effort to not only stop the increase but bring it down to et zero’. A delay in shifting to clean energy has been noted as one of the reasons why the emission levels are quite high. Also, methods to remove the carbon have not been fully set in place to directly cut down the existing levels of emissions. Further, the report indicates that the global perspectives towards climate change are not reflective of the graveness of the matter. The result is that as some are trying to stem the change, some still have the emissions uncontrolled. According to the IPCC 2018 climate change report, there is a need for urgent unprecedented change. It further reiterates that the time is either now or never because climate change is already happening. Although the emission pledges in the 2015 Paris Agreement are quite a big step, it is not enough. There is a need for more serious efforts. There is a need for radical implementation of the plans to ensure it does not get worse. To keep the warming levels around 1.5 by 2050 there is a need to lower carbon dioxide levels by 45% from the 2010 levels to et zero’. Although technically possible, it will take a serious global effort to get there. From the report, it is apparent that although efforts are being made in the above areas, there is still more than can be done. It is now upon policymakers to come up with policies that will ensure the goal is reached. Now that 2030 falls within the lifetime of most people alive today, the need to act to stem the climate change has never been more. The projections in the report also show that unless radical changes are made, there will be drastic changes in the ecosystem by 2100. Therefore, there is a need to set in place strategies that will ensure sustainability in the current years and even in years to come. To make that possible, there is a need for urgent international political cooperation. Every government should play a part in meeting the global target. Consequently, many experts have weighed in on President Trump’s move to pull the USA out of the Paris Agreement on climate change. They warn that it will hamper the efforts to keep the global warming in check. International cooperation will be key in reaching the under 1.5 rise target. The 197 signatories at the Paris Agreement 2015, therefore, hold the key to ensuring the climate change is kept in check. 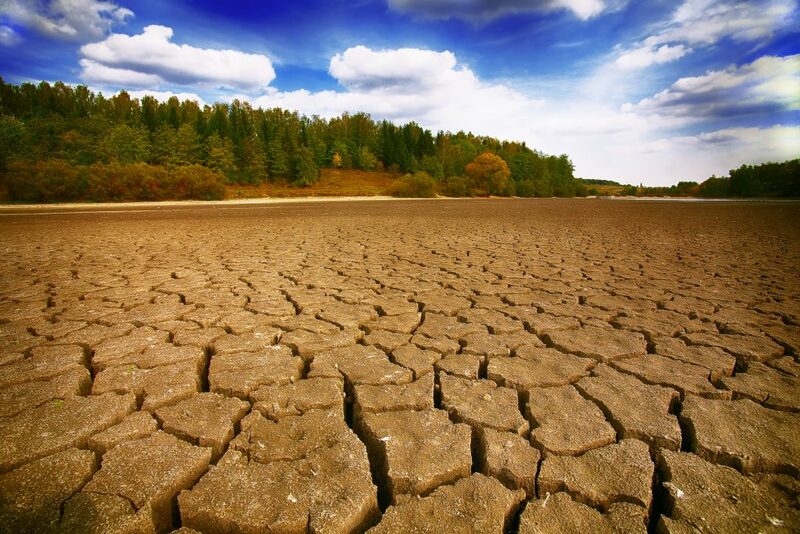 Climate change is happening and unless the focus shifts toward making unprecedented changes, the consequences of global warming will be unavoidable. This is according to the 2018 report by IPCC that comprehensively covers the climate change trends. The urgent international political action is needed to stop the catastrophic climate change.